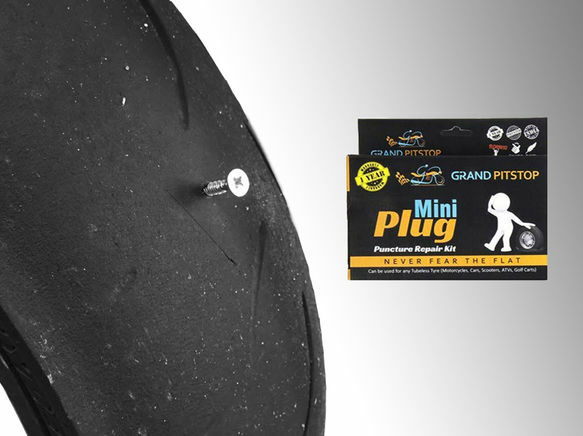 Fix your tubeless tyre puncture with minimal efforts using Grandpitstop’s semi-automatic Mini Plug Puncture Repair Kit. 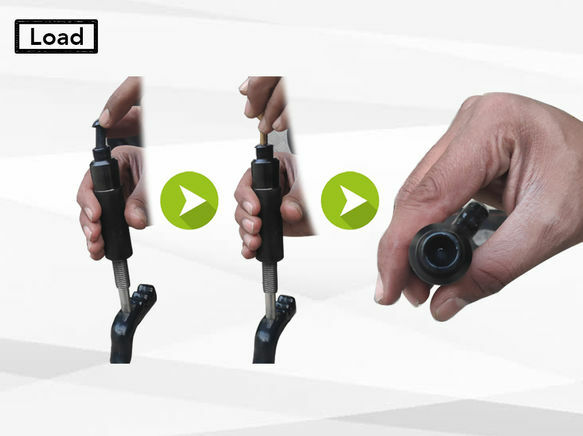 Three easy Steps- Load, Screw, and Fix! 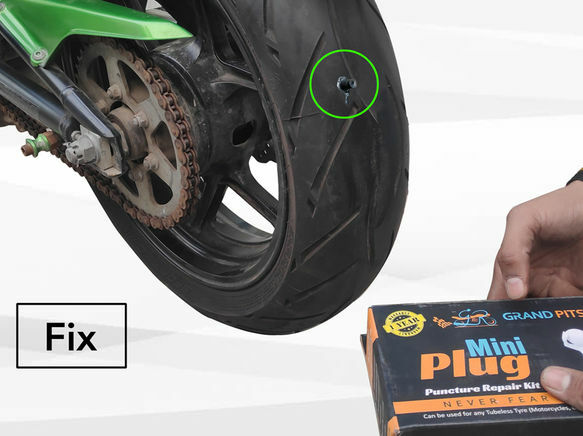 It takes less than one minute to fix a puncture. 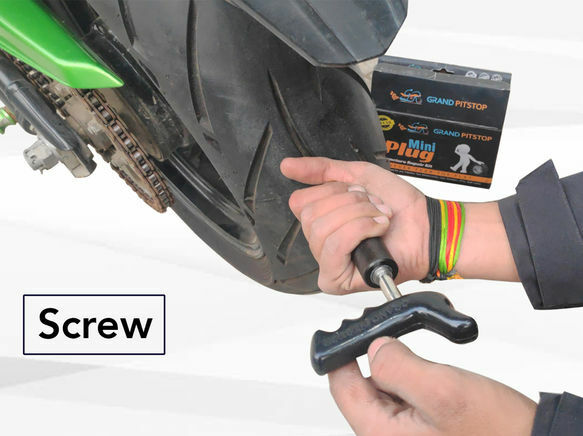 Mushroom Plugs provides perfect sealing to punctures, thus making your rides more pleasurable. It is time-saving and convenient to use on long road trips.